The field was nothing but mud and barbed wire. As rescuers stepped through the foul sludge of mud and horse feces, they sunk deeper and deeper. Seven horses were trapped on the barren Hood River, Oregon, lot with barely any food or water. The horses were starving, and their hooves were decaying from standing in the swamp-like conditions day in and day out. A neighbor had reported the neglect, and members of Silent Wave Horse Rescue and 3 Sisters Equine Refuge rushed to the scene to work out a plan to save them. And then they heard a noise coming from a locked trailer nearby. 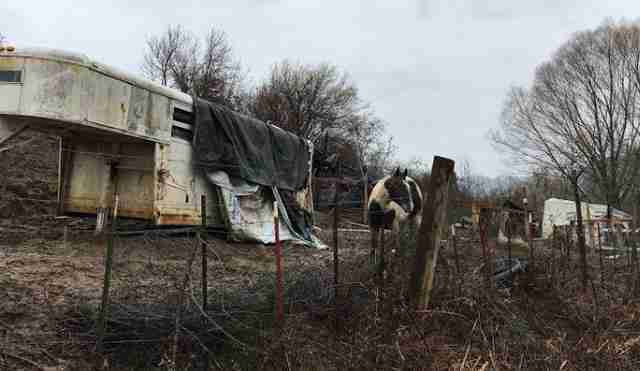 Inside the completely dark trailer was a miniature horse, completely covered in wounds and lice. He had been locked inside with nothing to eat but wet, moldy straw. He was terrified. No one could tell for sure how long he had been shut in there — but it was clear the little horse had been suffering for a long time. It took four people to eventually lift him out of the trailer because he was too scared to walk out on his own. “Rascal ended up being our first one out of there,” Neuburger said. Luckily, the seven other horses were all brought to safety as well. 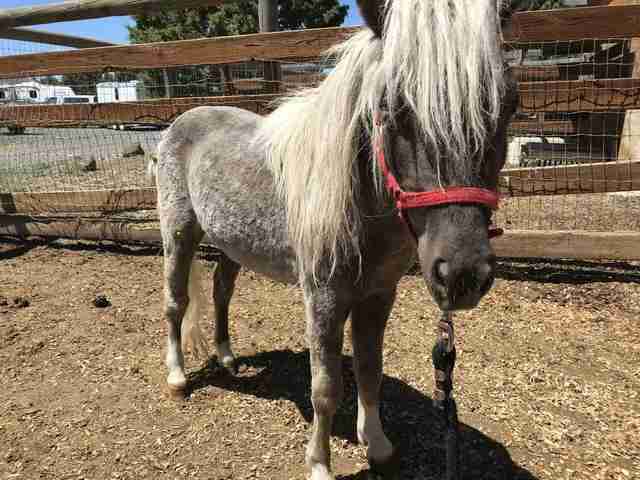 Rascal was the tiniest of all the rescued horses — but he was in one of the worst conditions. He was so itchy from the lice that he had continuously rubbed himself onto the metal sides of the trailer, giving himself sores in the process. 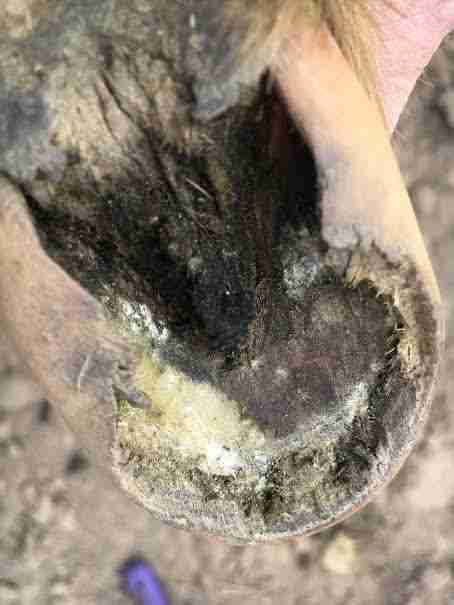 His hooves were overgrown and rotted, and he barely had any muscle from being kept in such tight quarters without exercise. The rescue happened in March 2017. Michele Lynn, a local horse lover, took Rascal in as a foster shortly after to help him get back to health. 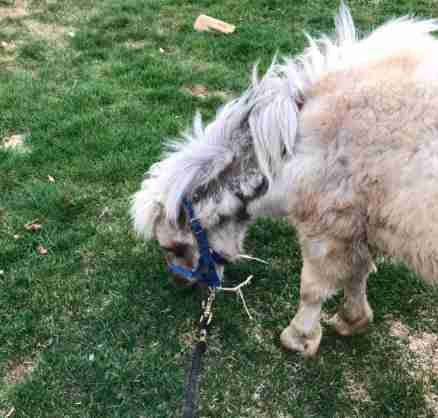 “Our biggest concern were his long hooves and overall poor hoof condition,” Lynn told The Dodo. At that point, Rascal was still very fearful — but it was clear all he wanted was to stretch his legs and run after being cooped up for so long. But with plenty of food, vitamins and love, Rascal was getting stronger and more lively. Soon his wounds were almost entirely gone, and his coat had gotten so full and shiny. And most importantly, he finally started feeling comfortable around people — for quite possibly the first time in his life. Rascal has not only formed a strong bond with Lynn, but also with another mini horse on the farm named Spanky, who was rescued from slaughter. The two now spend their days soaking in the sun and running around together as fast as their little legs will take them. Seeing how naturally loving Rascal has become, Lynn thinks he may be ready for a very special job in the near future. 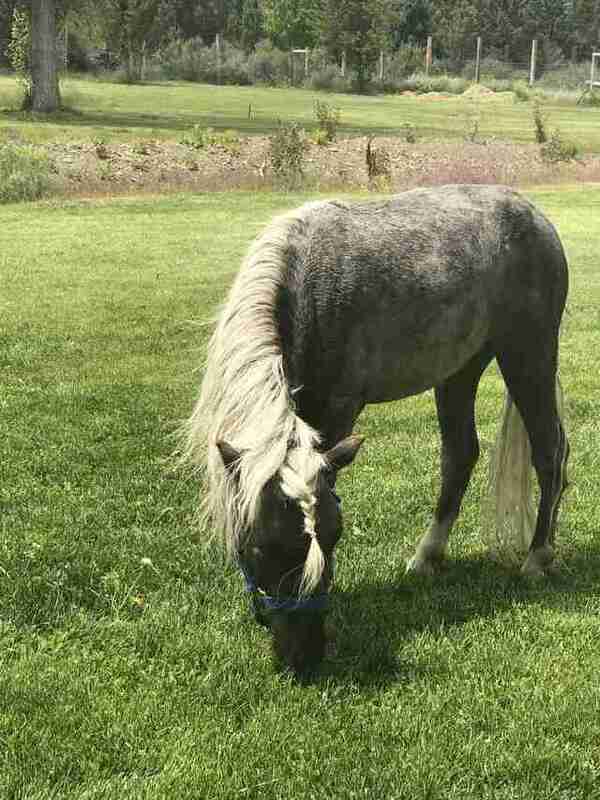 To help more horses like Rascal, you can make a donation to Silent Wave Horse Rescue and 3 Sisters Equine Refuge.